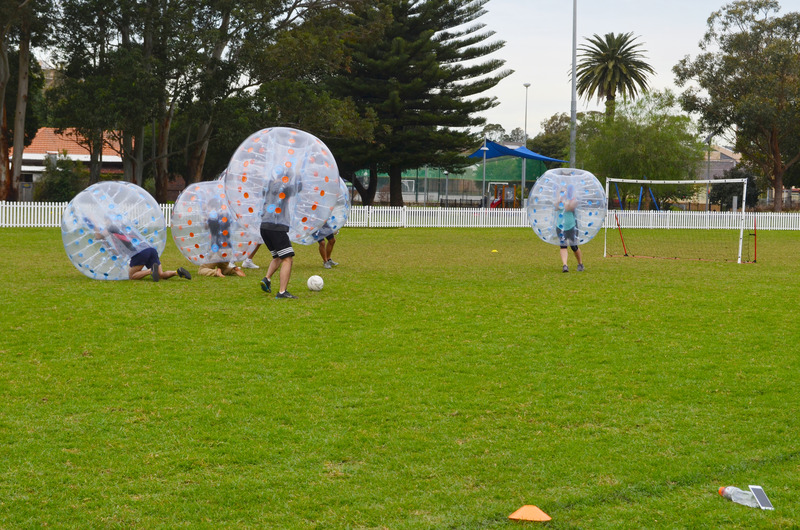 Have you ever thought of playing bubble soccer? Well, it is time you explore this game because it is a fun way to spend time with your friends, family and even kids. The ball that is used in this game is same as the one used in football. The only difference is that the players wear a bubble suit that gives a bouncy cushion to the player, making it safe for everyone. What makes this game ideal for kids? Bubble soccer is ideal for kids as you do not have to follow any hard and fast technical rules. You can bounce around or smash into each other to prevent your opponent from scoring a goal. Moreover, you do not have to worry about any injuries as well because you are covered in a bubble. Kids often find themselves rolling around and laughing, and sometimes they even forget about the soccer! What are some of the rules of bubble soccer? It is essential that the players should understand at least some of the loose rules that govern this sport. If you are keen to play this game, then make sure that you inculcate the necessary awareness regarding some of these. Rule 1: The first rule is that both the teams should not start where one team has only three players or fewer. Moreover, each player has to wear a bubble before stepping into the field. Rule 2: The substitutions are allowed during the match. To carry out the replacement, the player has to come off the field and needs to stand on the side. The new player has to cross the party line for entering into the game. Rule 3: Whenever a new player comes the field the referee checks the player to ensure that he has all the necessary equipment. Rule 4: If a player falls down on the ground, then he will be allowed to get up. The opponent team members can only establish contact with the player once he has gotten up. Rule 5: Referee will blow the whistle to end the first half of the game or stop play. Once the referee blows the whistle, then it is mandatory that the players should terminate the game on an immediate basis. If there are any unsafe conditions, then the referee has the right to stop the active play. The stopped game can only resume once the referee blows the whistle again. Rule 6: It is also vital that you should wear proper shoes while playing bubble soccer. 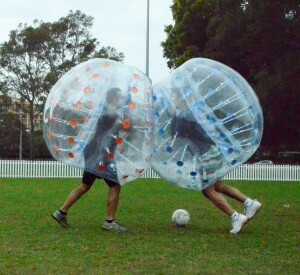 The female players should not wear any fine jewellery while playing bubble football because it may damage the bubble. How long does the match last? Usually, there’s no set length to recreational bubble soccer. The referee will have the discretion to choose the length of the game, based on how they determine the players are feeling. Competitive bubble soccer does usually last up to 12 minutes. However, the teams can mutually agree on reducing. This decision needs to be made at the beginning of the match. Now, it is understandable that kids and adults alike get tired while playing the match. This is why an interval of five minutes is allowed after half time and plenty of opportunities for substitutes. 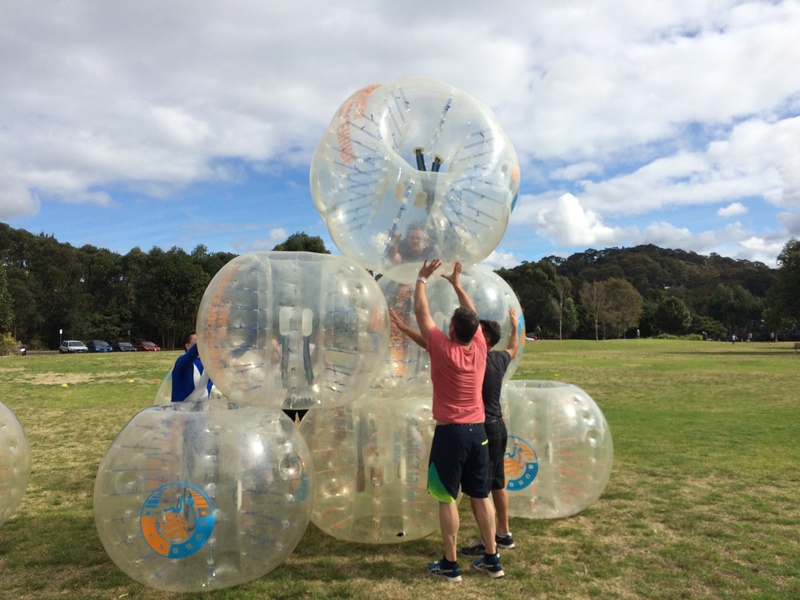 We often rotate 5 bubble suits between 10 people or more! When the game is about to start both the teams need to stand on the baseline. The referee will then place the ball in the middle of the field. Next, the referee blows the whistle to commence the game. The referee will also blow the whistle after each goal as well. Usually, the referee does not stop the ball if he sees it going out of bounds. However, play will be stopped if it goes near the spectators. During the game the referee has two balls. One is actively used in the game and the other ball is used if the previous one goes out of bounds. If a ball successfully passes the score line, then a goal is scored. How do we know all this? 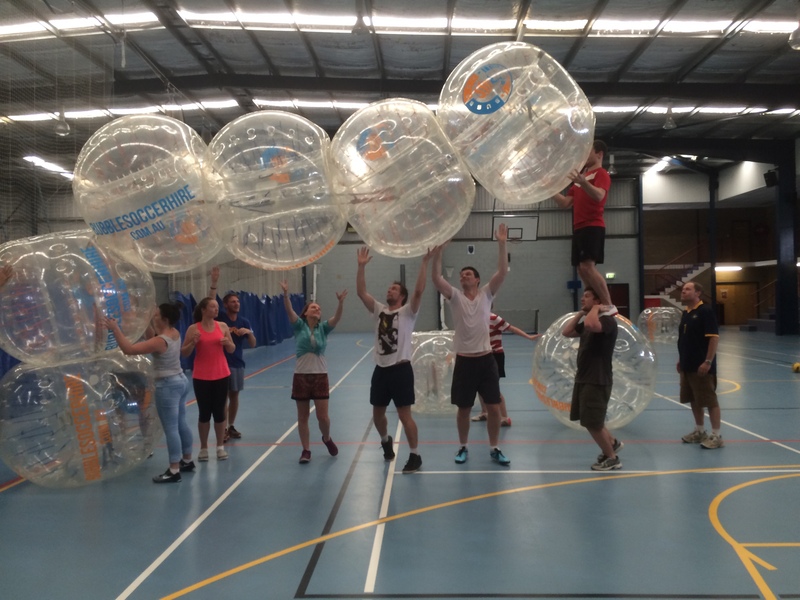 BubbSoc is one of the first bubble soccer companies to hit Australia! We’ve been running since 2015 and have happily served more than 5000 people across Sydney, Brisbane and Melbourne. Feel free to get in touch with us if you have any questions using the form, or giving us a call on 0423074787.